I began to question why I had always been so careful to pour the beer off of the trub when transferring it to my fermenter. 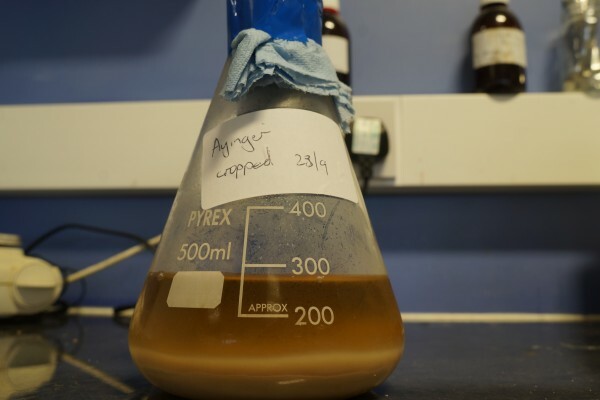 What effect would including this sediment have on the overall clarity and taste of the beer and does it have any effect on fermentation? I decided I needed to conduct my own experiment. 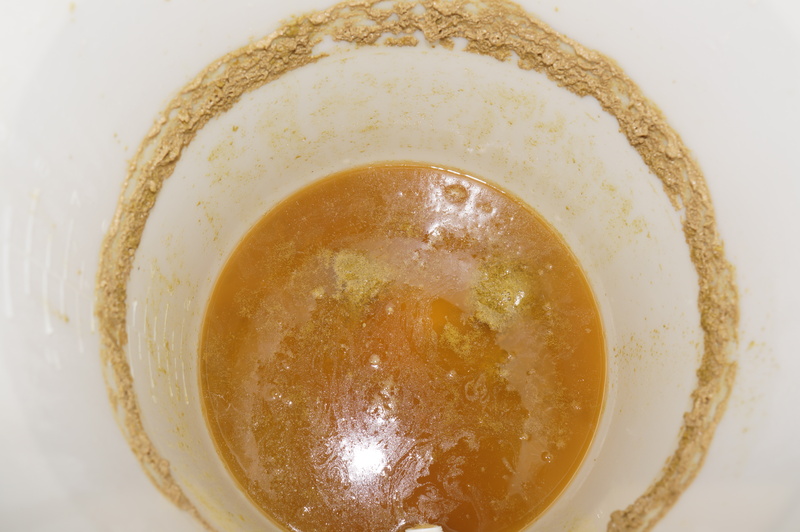 Brew an American Pale Ale and split the batch, being careful to avoid transferring sediment into one fermenter and deliberately including as much as possible in the second. 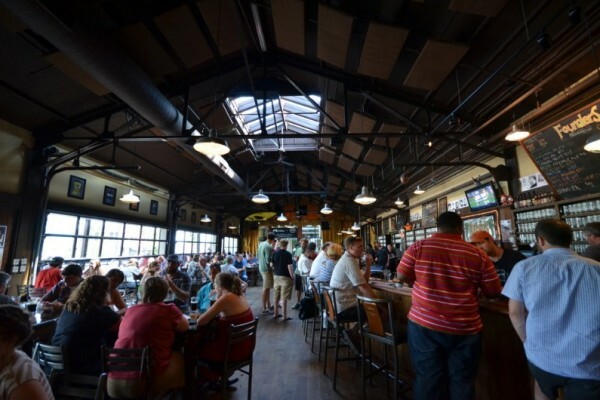 This is to test what effect trub vs no trub has on the end quality of the beer. The brew itself went without a hitch and after chilling my wort down to fermenting temperatures I poured half of the batch through a sanitised sieve to strain out as much hop debris and break material as possible before stirring all the trub into the remaining wort and pouring this all into a separate fermenter. On Day 7 the fermenters were moved to the brew fridge to cold crash ready for bottling on Day 8. After chilling at 12°C for a day I took another gravity sample to check everything had stayed the same. 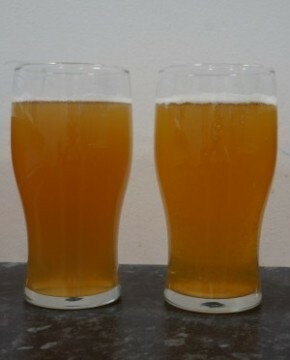 After tasting the samples there were already some noticeable differences –the sample from the trub filled fermenter was much more bitter than the none trub sample. Overall I managed to get 14 bottles from the trub filled fermenter and 18 from the no trub fermenter. I carried out blind tastings and asked 4 colleagues to advise preferences on clarity, aroma and head retention then to state any detectable off flavours and if they could spot which beer had trub in the fermenter. The beers were poured into 4 lots of separate glasses (so every taster had a glass of each). 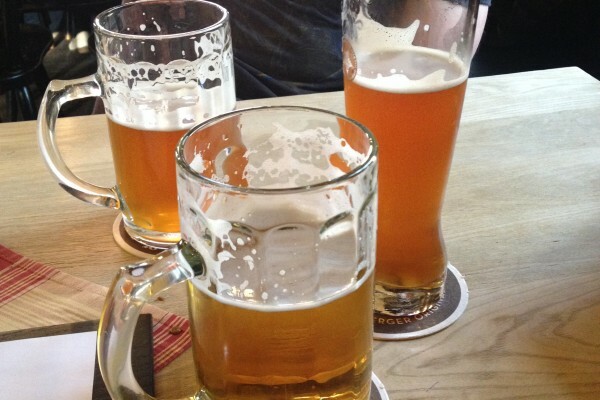 Of the two beers, three of the four tasters said that the flavours in the beer with no trub were not as ‘clear’ or ‘defined’ as those in the beer that had been fermented with trub. 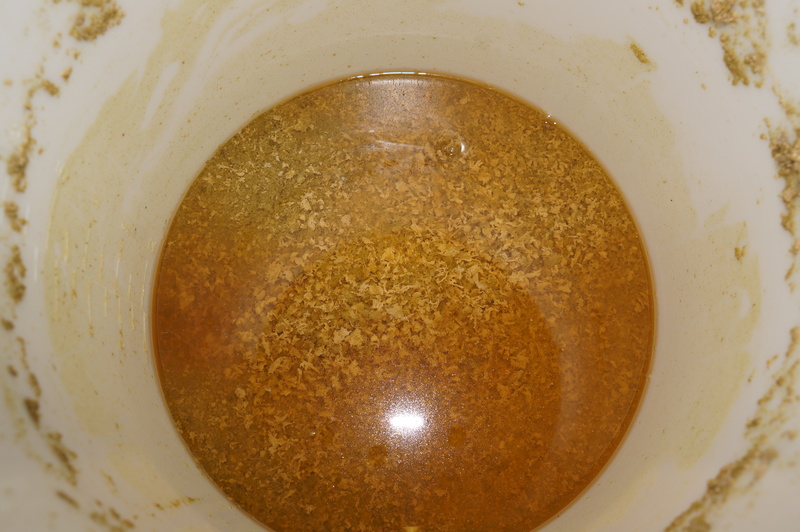 Can you guess which beer had trub in the fermenter? 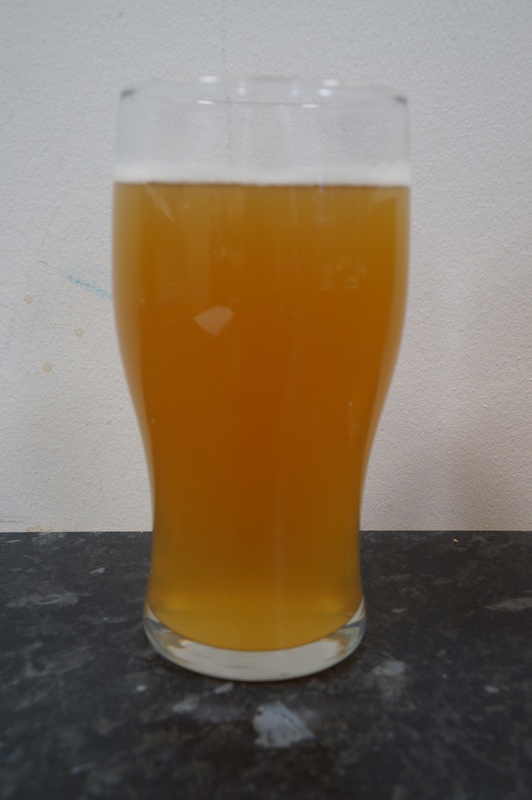 This was the second favourite of the tasters in terms of clarity, aroma or flavour – tasting similar to the trub version but the flavours were less clear and defined. Head retention was good but all tasters incorrectly identified this as being the trub filled beer as it was the significantly hazier of the two. The hands down winner, this was everyone’s favourite for clarity, aroma and flavour. 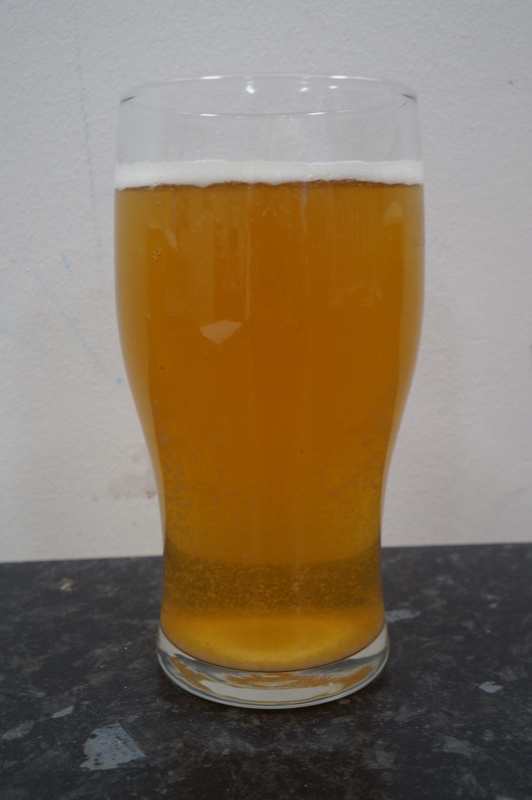 Good carbonation, it poured pale and clear with a good head. Some particles were still floating in the beer but the lack of haze led everyone to think this was the no trub version of the beer. 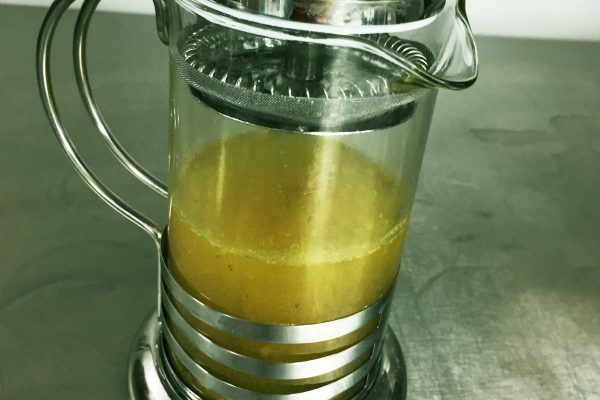 A high proportion of trub can be beneficial, helping with clarity, aroma and overall flavour. In a blind taste test none of our tasters could correctly identify the beer from the trub filled fermenter. Obviously this experiment has taken things to extremes and we aren’t suggesting that any homebrewer would deliberately mix all the trub in their kettle into their wort and add this to the fermenter but the experiment does seem to demonstrate that there is no need to worry if some debris does get into your fermenter and in fact, some trub can be beneficial; aiding in clarity, aroma and flavour as well as providing nutrients for yeast. 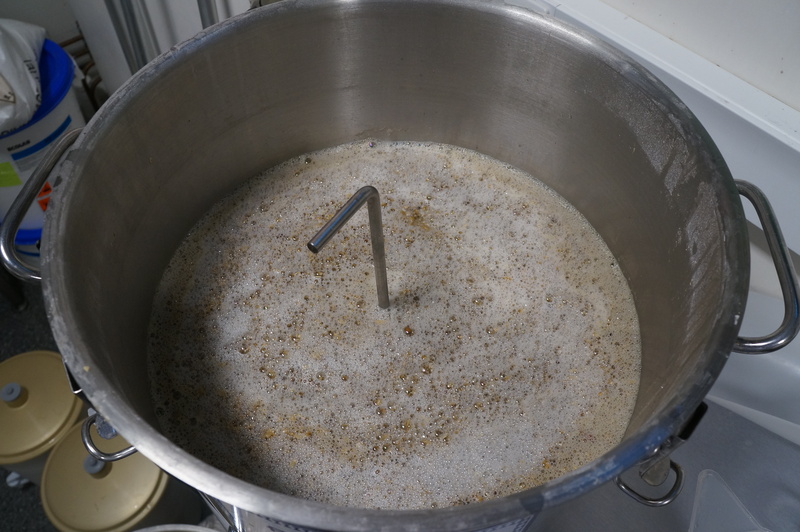 The downside is that you are likely to reduce beer yield from the fermenter (we got 22% less). 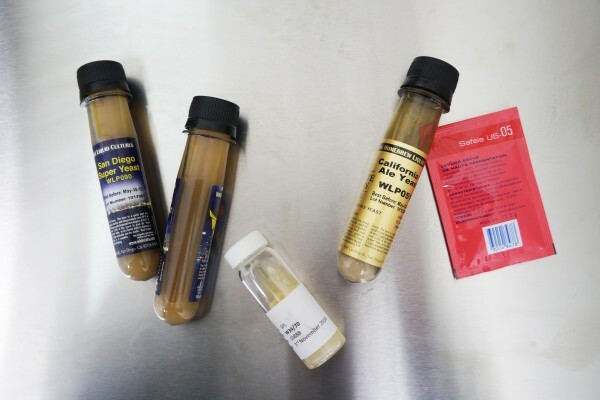 How careful are you when transferring wort of the trub and what is your experience with its effects on your beer? Let us know in the comments. 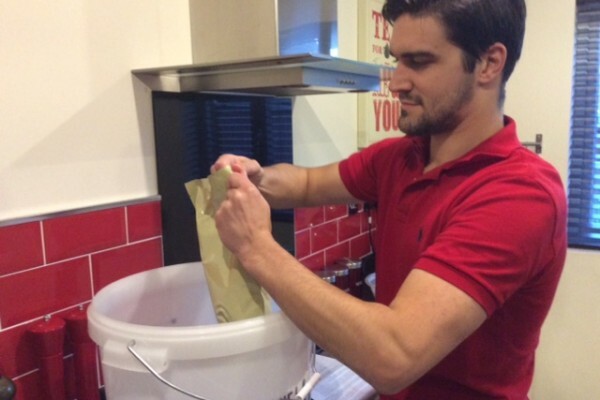 …what made you start brewing? Great experiment! 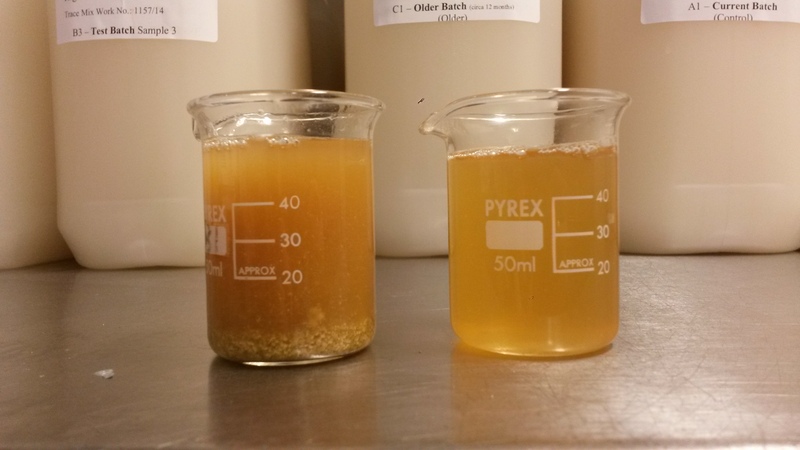 I have seen experienced brewers on BIABrewer say that they don’t worry about transferring trub, and that it is a natural yeast nutrient. I generally transfer quite a lot of trub, but then worry that it it causing poor clarity -thanks for demonstrating that it probably is not! 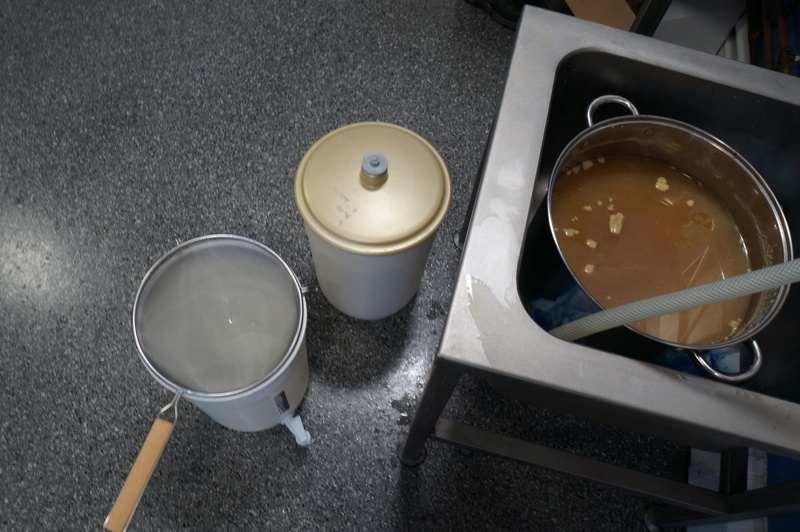 Plus, the 22% volume loss at bottling is likely offset by the extra ~22% that you transfer from kettle to fermenter. 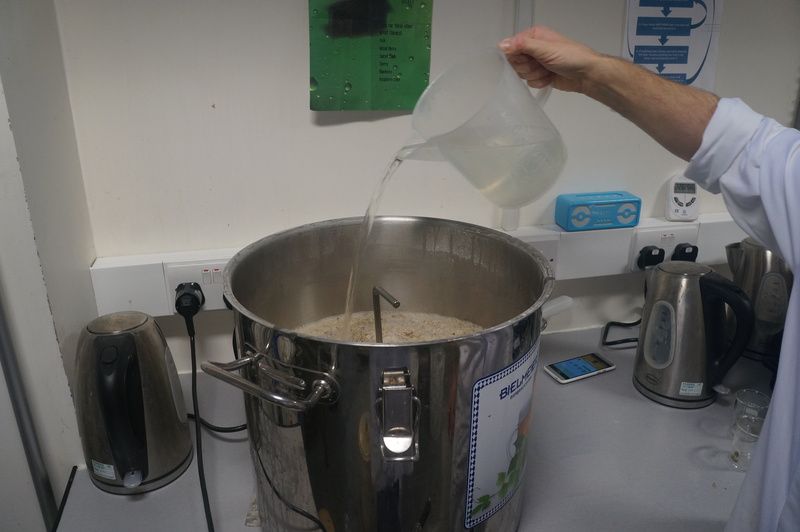 It would be interesting to repeat the experiment with a higher ABV beer and see if the trub really does act as a nutrient by monitoring the yeast performance – this time around the fermentation’s were almost identical. 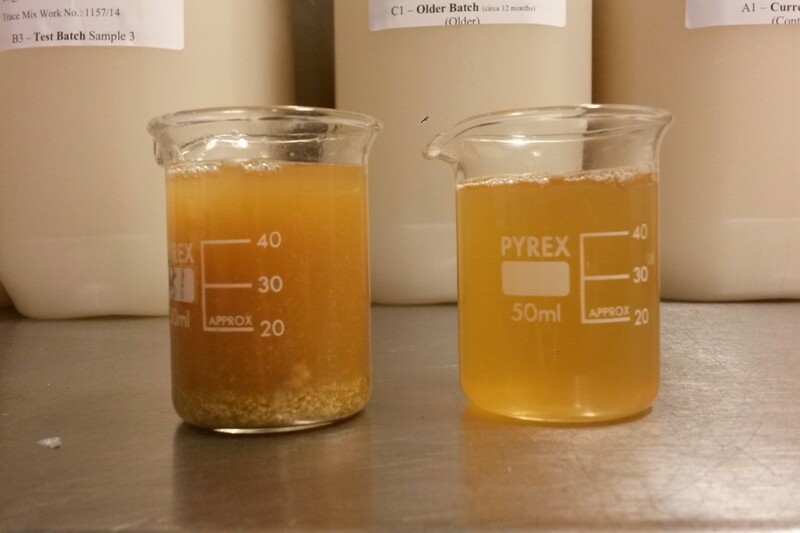 It does seem that overall transferring trub shouldn’t have a negative effect on your end beer clarity which is good! In a way it’s a shame the clarity gave the tasters a misleading steer. Quite possible this subconsciously influenced their assessment of the other characteristics. 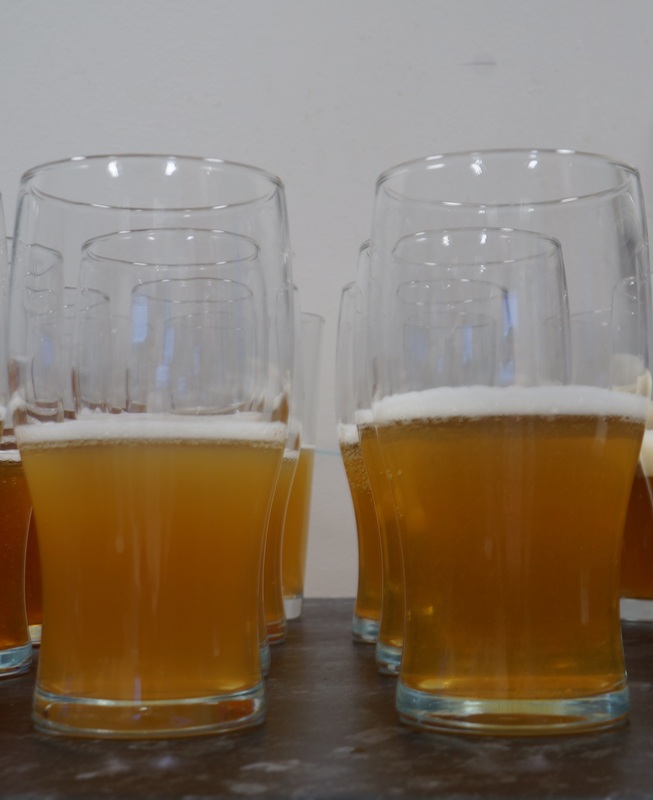 If repeating this experiment, maybe the aroma and flavour assessments could be conducted with the beers in opaque drinking vessels, or with the tasters blindfolded. We still have bottles of both beers left which we’re hoping to test in a month’s time just to see how they have changed and I think as you suggest we should do that as a blind tasting because it would be interesting to know how much the difference in clarity affected the results!